Student Admission Campaign has started from Baisakh 01, 2076 for the new academic session 2076. It is our responsibility to help in initiative to get every child admitted in the schools for the continuation of their study. 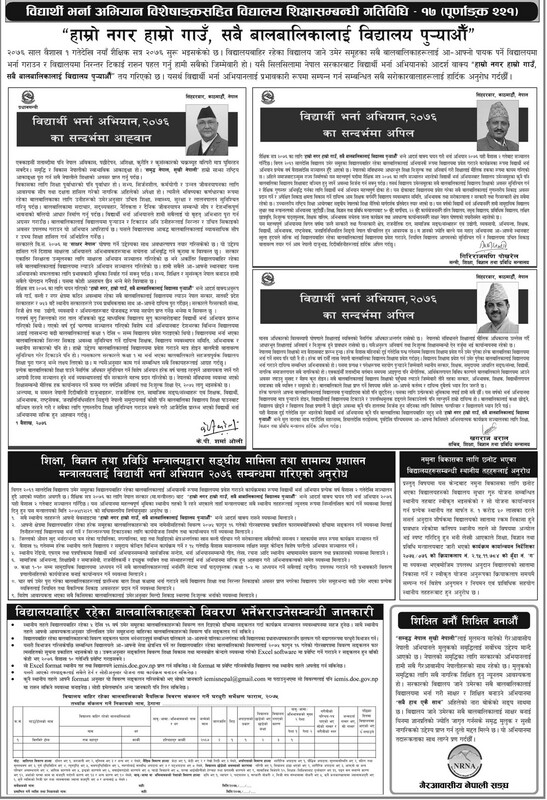 Nepal Government, Ministry of Education, Science and Technology (MoEST) requests all its associate person to complete the education campaign in an effective way.